Do you guys want to hear more about the business side of iwillteachyoutoberich? I’ve been thinking about this a lot and I want to get your feedback. For a while now, behind the scenes, I’ve been working on a bunch of projects to create several in-depth projects/products for you that I’ll be rolling out over the next few months. These are specific projects with more scripts that you can use to dominate, techniques for earning money (like the earn money bootcamp I hinted about), recommendations for the best accounts, etc. Some are free, some will be paid. This is more related to entrepreneurship than personal finance, but I think it’s relevant to iwillteachyoutoberich readers: It demonstrates how to take a simple idea (personal finance for young people) and build a business (and income) around it. Leave a comment to let me know if you’re interested in seeing what I’m doing behind the scenes. If you guys are interested, I’ll do some occasional posts on the business side of iwillteachyoutoberich. If not, no hard feelings. Just let me know in the comments! [Edit] Lots of “Yes” comments below, so let me know specifically what topics you’d like me to cover. Yes! It would be fascinating to get a behind-the-scenes look at this site. Perhaps you could also introduce us to your team? I’ve been reading your site since 2006 and I’m a fan of your work. I own the book and enjoy reading your blog posts. As blogging has turned into a business for me I’d be very interested in how you’ve monetized off web traffic and your methods. It’s rare to see true methods revealed, but I think it will inspire other bloggers out there to tweak their sites or start blogs and dominate niches. If you show readers the power behind “web holdings” and the recurring revenue streams that popular blogs generate I think it will give many people a jump start and a new outlet for income. Definitely interested to learn about the business side of IWillTeachYouToBeRich. I’d also be interested to learn the same from PBWiki. Please! That would be awesome. Even if this isn’t the place to do it (not sure if it is), do it somewhere. Post away, I’d love to see posts about what you were thinking and why you decided to do what you did. I’m very interested in hearing the story/thinking/trial/error behind you building a non-traditional revenue model within the blogging niche (personal finance). Specifically, this is one of the areas that has ramifications for anyone involved in entrepreneurship, not just bloggers. How to approach different revenue models, why you choose to promote yourself over selling advertisement, and what you think the keys were that ultimately made you successful. Absolutely! Having just finished the 4 Hour Work Week, I’m very curious to see how others do things. I am very interested. I know you are an automation freak, so I would like to hear about your systems and automation for launching new products or services. I really enjoyed the post on maximizing ebay profits. I assume I am like most readers… I am comfortable selling my used items online (ebay or craigslist), but just can’t seem to get started selling something new online. How about keeping this blog about personal finance and a separate one for entrepreneurship? I know it may be asking a lot, but I read both kinds of blogs and can’t think of any that do both subjects. I would be very interested in hearing about the business side of you blog. I believe that this content can fit into your blog theme. Just interested to know how one of the masters sells information products online. This is absolutely what I’m interested in. I think I have nailed the “cutting costs” portion of attaining financial independence but definitely need some guidance on the “earning more” part. Would be great to have some more insight on your model. Thanks for everything so far. I’d like to know for sure, but maybe in a separate blog. I keep a second blog for all my “behind the scenes” stuff (projects I’m working on, frustrations, successes, etc.) and it’s more relaxed and personal. I use posterous (no affiliation) because it’s slick and stupid easy. Absolutely! Bring it on !!! I don’t think anyone’s gonna say no to this. Definitely! My first blog is up and running and am looking to roll out some products myself. I’d love to hear how you come up with ideas. Hook it up my Indian brother!! I’d be very interested to hear about product idea formation and marketing. Entrepreneurship is something all IWTYTBR readers should know about. I think the topics that you’ve listed would be a good place to start. Again, if it has to be paid, some might say you are no different from the rest, who actually need to make money from your how-to-make-money stuff. I’d like to see some concrete information about your revenue streams—you encourage your readers to follow your example, but how do we know you’re not scraping by on a subsistence-level income? One of the things other personal finance blogs have going for them is that their authors are very open about their own finances, or, at least, manage to lie convincingly. Their strength isn’t that they tell you to re-use tea bags, they tell you to re-use tea bags, and explain how it worked for them. I’d like to know whether you like your own dogfood. What your financial goals are, and how close you are to reaching them. Yes, please – it would be interesting to know what you set this blog up to achieve, whether you think that you have achieved it and what you have learnt about the whole experience. I set a blog up with a certain intention and although I think I have roughly stuck with my aim I have got distracted on the way. I would love to know your thoughts on the best way to develop a personal finance blog and how to make money with one. this is exactly the stuff I want to hear about Ramit!! why not plan it as a video or podcast? it could even be a product too!! Mos’ def. I would like to hear more about how you decide what to charge for and how you set up your pricing. Thanks for a great blog. Looking forward to more great posts. I would love to see what you do behind the scenes. I am always up for learning about your entrepreneurial endeavors. You’re tapping into an elusive, but compelling, area of marketing what I’d call “knowledge products,” and it would be very interesting to get a peek behind the curtain. Definitely would like to hear about how you do your market analysis and create a marketing plan around that, as well as how you come up with ideas. Yes! Specifically about your market analysis. I would especially love to see your thoughts on pricing :). I’m definitely interested. Your tips have helped me enormously. Yes, especially how do you set pricing. I’d love to hear more about the business side to your site. More specifically: tips for building a successful blog, your thought-process behind how you differentiated yourself from the many other bloggers out there, and finally, how you established yourself as an expert in the field without decades of work experience or some crazy degree(s)(being the child of Asian parents myself AND starting a business under the same conditions noted above, I’d love to hear how you did it). I want to believe those are shadows on your cartoon arms but I’m pretty sure they gave you hairy arms. coming up with ideas and doing market research always seems like the hardest part. I think, with the current push towards full transparency, that this is a great idea. Not only will it teach by example, it should encourage others to A)attempt to become entrepreneurs themselves & B)help encourage a movement towards full transparency in business and government. Since I personally believe that transparency will also lead to increased accountability, I’ve recently started encouraging the practice every time I interact with people who have a business. This site is a prime example. Thanks for showing an interest in a trend I believe may be one of America’s best hopes for a stable future. Yes. I want to learn how it all works behind the scenes. Yes! I would probably learn more than I would in business school! Yes! I’ve been waiting for you to go down this road. Sounds awesome. Market analysis and planning as well as pricing strategies – including when and when not to charge – are all rolled up in the same ball o’wax to me. Always looking for other people’s thoughts on these. Trusting others with ‘your baby’ is one of the most difficult things for anyone, but growth requires it. How do we separate emotions from our business? Yes it would be great. I’ve started several small business and would love to learn more about how you develop a following of people that are interested in what you do, connect with others in a win-win way (like you hook up with other bloggers). I realized quickly that unless people know about you, you don’t have much of a business. Yes, specifically statistics and how you use them. One thing I think you might have a great perspective on is financing. When should you not use your savings? When is it time to start asking banks/family/VCs for seed money? I’m so glad you’re doing this, I think lots of interesting stuff will come out of it. I want to learn about out sourcing…I do all my own newsletters, blogging, web design, scripting.. it just takes so much time..I want to use my time writing my cancer support book…instead I bombarded with everything else. Please help.. Yes! I’m interested in learning about everything you mentioned. I think it would be helpful to those of us that want to start a side project to earn some extra income. I’d like to see information on how you decide when and how much to charge. Yes. Topics such as: deciding what types of ideas are more lucrative than others, how to take ideas and stretch them to make the most out of them, how to determine when you have a good enough idea/product that others should pay for, pricing of said product, how to break down your idea so that you can actually accomplish it (or rather how you have taken your ideas and accomplished them step-by-step), etc. Anything and everything really. Yes or I will never read this blog again! J/K! I’m interested in hearing more about market analysis, planning, and what tactics you use to implement your findings. I think we all could use some different views when it comes to marketing as it’s one of the most important aspects in business. Without proper targeting, you’ll never reach the right prospects. These are all great topics – I’d particularly love to hear more about marketing analysis and creating a marketing plan. As a part time freelance graphic designer I often work project-by-project a la ‘whatever comes my way’. It would be great to learn how to develop some relevant business planning skills, find a direction and stick with it. Thanks Ramit! I want to know the technology side of it. 1. How have you integrated payment processing (scroog strategy etc) within wordpress ? 2. How have you integrated monthly subscription for paid content ? 3. Are you spending a lot of time troubleshooting customer orders etc or is it on “autopilot” ? 4. How are you tracking your “bounce rate” i.e. how many people sign up for paid stuff, then cancel in a month ? 5. How do you convince your users that they should sign up for scrooge strategy etc, outside of what you say on the blog like ‘oh, get this and 30 more tips at my scrooge strategy” ? Its great to see you opening up a new dimension in your writings… Something that can be of tremendous help to me! I have been writing on matters related to personal finance and investment planning for about 2 years now – but strictly from the Indian context, and for the Indian audience. The market in India is quite different from many others, thats why the focus. (You might be aware of this because of your background). My aim is to promote healthier financial planning and investment practices among Indians – specially the younger generation that has tremendous disposable income (by Indian standards). I try to educate them about various avenues of investment and good investment practices, so that they can save adequately for their goals. In the process, I am also trying to monetize the website in different ways. That way, I can focus more on the goal, and can dedicate more time for the cause. I already offer a service called “My Financial Plan”, which is a web-based financial planning service. Web-based courses in various aspects of personal finance are in the pipeline. 100x yes! I’m actually doing the same thing for www.DailyWorth.com – am on the verge of publishing our business plan. We have 3 charged services in the works, and I know we have customers in our audience of 3,000 daily subscribers. There are many reasons to be transparent about your business operation with your readers — I’d bet they’ll trust you more and be more loyal. My question is: why aren’t more businesses being transparent about their operations and growth plan? Afraid competitors will steal our ideas? Naah … I think it will be great. yes! Specificlly I want to know everything there is to know about making money from blogging and earning income online in general. Yeah man. Would love to hear about how you decide when to charge, how you create your pricing structure, and your online and offline marketing plans. No. That sounds like a horrible idea. Thanks for all you share. I’d like to hear about how you decide when to charge and not and how you set pricing. Also, all the content here is fantastic! Whatever you decide to add I’m sure will be extremely valuable. Many thanks! Ramit – Yes, Yes, Yes! In particular, I’d love to hear how you maximize your personal productivity. I’m blown away by all that you accomplish – so would love to hear how you manage “the routine day-to-day” things as well… stuff like emails, social media, networking, staying zen & happy, etc. as you engage in the business side of iwillteachyoutoberich. And thank you in advance for allowing us to learn from you. Your generosity and transparency are very inspiring. (And totally agree with Amanda from www.DailyWorth.com… sharing builds serious loyalty). Go you! Absolutely. I’d love to learn what you’re doing in the background (seems that posting has slowed down as you’re devoting your time to other projects). I’d love to learn your strategies behind building your business from a blog into something more, as well as the technology behind it. Not sure if you ever watch Sportscenter or not, but one time they ran sportscenter on ESPN and aired the making of Sportcenter on ESPN 2 so you could watch them doing the show live. If you could somehow do a podcast of a week, or blog a “making of the post” diary with all the things you think about that would be awesome. I know the temptation to clean it up would be there but I say leave it as raw as possible. I see the cartoon and picture you on a dance floor somewhere with your hands pumping in the air: “Ramit in the house! Heeeeeeeeey!” But, yes, behind-the-scenes would be great, specifically pricing and marketing plans. I would be interested to know more about your take on outsourcing versus in-house services for iwillteachyoutoberich. I would like to hear more about your marketing strategies. I really appreciate your writing tone and style and would be very interested in reading what you write especially in regards to entrepreneurship. Yes please! I have been reading up on entrepreneurship but noticed your conversational style and to the point information would be very useful. Look forward to reading. Yes, I would love to hear about your entrepreneurship life. In particular how you set your pricing for your premium subscribers, and how you decide when to hire someone else vs. doing it yourself. This would amazing. Bring it on. All 6 look good, Ramit. Dear Ramit, yes yes yes. i love your knowledge that you share with us. i have been using @alice.com and absolutely love it. i am on the downside of my life. now working part-time, have down-sized and have some savings after selling my home. i now rent, but would like extra tips on how to save more, so keep it coming. 1. Customer development – how to find customers for products and to modify products based on their feedback – what are the important questions to ask potential customers ? I think this ties in with Market analysis and marketing strategy. 2. Pricing strategy – how to find the right price for products ? Thanks for all the great work Ramit ! Yes, especially more about making money. Also, we all learn differently. When you explain the background and how you come up with what you are doing, why/how you are doing it – it makes the other personal finance stuff ‘click’ in a different way. new perspectives are always welcome! I am looking forward to this series! The more you share, the better off we all are. Looking forward to a “behind the scenes” view. I am interested how you come up with product ideas, but even more interested in how you choose which ones to pursue, and in what order. My problem is usually having too many ideas, to the point where I have no idea where to start. ALso pleas go into how you decide when to charge and how you set pricing, as well as how to make a market analysis; where do you get this information? Is it research that requires only time and hard work or do you purchase statistics from relevant sources? And of course the question of when to hire someone vs. do it yourself always comes to mind. Can you trust the people you are hiring, even of the project involves having a stranger (or strangers) working with an idea of yours that is not patented/copyrighted or protected yet (particularly in the case with an invention where either drawing or fabricating a model is required for a patent to even be considered, yet you do not have the set-up/skills to fabricate/draw it yourself)? Yes. Bring it on. Good case histories are not that easy to come by. Specifically I would like to hear your thoughts about how you start from an idea, to deciding if it will be useful for a wide range of audience, to brainstorming about possible solutions including reasons as to why is something a problem in the first place(I can imagine your educational background gives you a big hand here). Do you collaborate with a team, of 3, 4 or 5 people? I am sure you look for people with expertise in specific areas to help you out, but how do you identify when to reach out vs doing it yourself. Things like these. Thanks for your all your work! Yes, definitely. I think that will be a great opportunity for everyone to learn and expand their ideas and strategies. I want to know the specific steps to take your idea into something concrete. Logistically, perhaps you can direct us on where to build a website or who to hire to do this because these days seems like a website is the easiest way to advertise or sell something when you have an idea, but being a 20 year old guy with no experience in this area.. where do you go? Yes, I am interested in knowing more – especially the entrepreneurship part. I think it would be fascinating to hear about the “inner workings” of I Will Teach You To Be Rich. Looking forward to it Ramit! I am totally interested in the behind the scenes action! Please fill us in and thanks! I’d love to hear about it. Looking forward to you email. Always interested in hearing you discuss entrepreneurship! -Day in the life – how the hell do you juggle everything? You seem focused on a great mix of PR, marketing, strategy and writing – and amidst all that, you continue to connect well with your audience via email. Ramit, I would really enjoy and find informative the whole process. I run a very small lawn mowing business on the side of my regular job and really could use all the information I can get on business. I would be willing to ay for those things that have value. Thanks for your website and help. I look forward to more. (1) How you took the very general, decidedly non-niche subject of personal finance and built a unique voice, following, and business over time (beyond simply “being yourself”–I’m interested in the strategic dimension of it all: how you built relationships, engaged with readers, and navigated the cacophony of the blogosphere to make a distinct impact). (2) Your approach to online marketing in general. Clearly, you don’t follow the “big-red-headline” philosophy, which usually consists of a series of “squeeze pages” written as if by an ex-con; beat-you-over-the-head hype and high-pressure sales tactics; and massively deceptive claims and email marketing strategies. (3) What you would do if you were entering a new niche–that is, how you would approach the process of market research, product development, promotion, and business- and systems-building. God, there’s more. Testing, analytics, partnerships. I’ve been following IWTYTBR for a little while now, and I find your business inspiring and fascinating–it’s an example of a profitable and impactful online presence that doesn’t compromise in either voice or ethics. Kudos. yes. I love it so much. One thing I admire about you is the ability to strike a credible and trustworthy tone even when being pretty relentless about building a business and self-promoting. This offer, to be transparent about your strategy and decision making on pricing, is consistent with that. I’m curious about how you set prices and what your objectives are (profits vs. visibility/market share, etc.). I’m also curious how you can build a sense of collaboration with an audience from whom you are also interested in extracting money — that’s a tension you manage gracefully, and many others don’t. At some point, buyers and sellers have interests that diverge — you’d like to figure out how much you can charge for your expertise, while we’d like to figure out how to get more free information from you, while sorting through as few product promotions and ads as possible. How do you recognize that place where interests diverge, and balance the interest in maximizing profits with the need to build an authentic and loyal relationship with your customers? Yes! I would love to hear more of the business side of things – particularly your marketing strategies – I think you’ve done a fantastic job and I’m always looking to learn. be effective seems a whole different story. Help! Yes. As a fellow Entrepreneur I would also be interested in how you do things from the business perspective. I’d be very interested in how you come up with pricing for online content. 2. Determining when to do something already out there, because you’re going to do it better. 2a. Convincing people it is better. I would be very interested in this. It is always interesting to see how people come up with ideas and products for their own business. Would appreciate the behind the scenes view! I’m interested in your forecasting. For example, based on the number of comments for this thread, how would you estimate the demand for exploring entrepreneurial topics behind the scenes at IWTYTBR? I’m interested in your point of view regarding about income generation. Surely, that sounds like a good perspective to logically thinki about while following I will teach you to be rich. I always have a hard time deciding when an idea is feasible for making profit… That would be nice! I would definitely be interested in learning about the behind-the-scenes business aspects of iwillteachyoutoberich. More information on top of the oodles of valuable information you already provide through your blog, your book and The Scrooge Strategy would be much appreciated! Would love to hear about: product ideas/how to set pricing/when to charge. Interested in hearing the details of what to give out for free and what to charge for. I would really like to see how you come up with product ideas and how you do market analysis. Thank you so much for sharing so much..I would so love to hear what you have to say because you are so inspiring. Yes ! You made my day! Go Ramit! Divulge, please! I, for one, discovered you through Timothy Ferriss and am always looking to build upon the framework he detailed in The 4-Hour Workweek, with particular interest in product development and sales strategies. yes please, we need something like this. Sure would love to know more. I’m sure it’s great info but i’m not on the entreprenural tract at the moment. I would like to find out more about college scholarships for my daughter, and even for me, the single mom back in school. Also, info on buying a good used car for the person without car maintenance experience. If there are links for that, i would love to read them. I thought this would be a great topic to examine. I’d live to learn how you choose your blogging topics, find the time & energy to keep writing, and researched your book. Have you ever considered writing a version of your book for mid-lifers? I loved your guidance and would like to know your thoughts about budget percentages for those of us over 45 (as well as what investment methods you recommend). Im in the top undergrad entrepreneurship program in the nation right now and I have fallen in love by the subject! I would love to know what your take is. Yes! How you narrow down your ideas to decide which products/projects to pursue and how you determine your price points would be especially interesting to me. Thanks for the continued brilliance you bring to the public. I’ve enjoyed your posts for some time now and believe you to be one of the better sources on money out there…excluding good ol’ Suze, of course. Would love to hear what you think of it and how it can be improved. 4. Autopilot – once the idea/biz is up and running things you do to automate stuff like reports or any other backend function. I’d love to know more about how you price things and why you charge for some things rather and give other things away. Ramit, Absolutely. Bring it on!! Yes, it would be a great help to post this information. Bring the house Ramit!! You must have read my mind. I was just thinking about a few of your topics. Great question! I would be most interested in hearing about your product creation ideas. This would be most important to me because in answering that one, I think that you would cover all the rest. Thanks for the great material! YES YES YES. That would be fantastic! I’d be very interested! I love your book, blog & following you on Twitter. You’re great!! Absolutely. I would like to learn very specific, detailed strategies (with resources) to build a content-based business. Definitely. Especially interested in how you come up with new product ideas. Absolutely! I would like to know how you go about marketing on and offline as well as how you decide pricing for your products. I would also like to know when you decide it is necessary to hire someone. Definitely. Market analysis, marketing, and pricing are especially intriguing. But a discussion of any of the topics you list would be great. Yes, I would love to learn about some of the legal aspects of building a small business, as well as contingencies that you yourself experienced and learned to deal with. Pricing, niche research, and how you “test the waters” before you release a project/ start a new idea. Thanks Ramit. I’m interested in all the bullet points you mentioned, and I’m sure some other great ones have been asked about in the comments here (I’m racing the clock, so I had to skim them). I do & am really good at all the money saving things, but I really need to work on more coming in! Anyway, thanks for all your good advice; there’s never enough of that, and all your efforts to keep us in the loop. Looking forward to this!! I liked everything on your list. I could see relevance for my own business in all of the topics and I value your experience and advice very much. Thank you for the book, blog and the encouragement that comes through in both of them. Yes! I would most like to know about how you set the price for things. I would be interested in knowing the business side of iwillteachyoutoberich and also, how you went from being a good to great marketer. Yes, I would – I haven’t read through all of the above (although I’m sure it was witty and relevant), but I’d like to see the nuts and bolts about business set up re: accounting/legal structure etc…I’d like to see your automation focus on the rather unpleasant aspect of bookkeeping. Money coming in is very different than money going out. I would love to hear more. Specifically, more about when to charge for something vs. giving it away for free. And also how to decide what to charge for it. Thank you for sharing! perhaps some of your strategies will be of use to me in my own business / marketing plans, etc. for this new economy. lookin’ forward to it, ramit. thanks. p.s.maybe santa will put your book in my stocking, too! Ramit, I became a fan of yours a couple of months ago when I happened upon your book in our county library in Bellevue, WA. Yes, by all means, I would be willing to read your views and suggestions regarding entrepreneurship. Thank you for asking. When it comes to self determination many of us former corporate drones need to be spoken to in simple sentences using simple words or we get all confused. One thread of an entrepreneur project could be for people who know nothing but need to make money. Like a 101 course or, in some cases, remedial high school. I’d like to read about how you actually go about turning ideas into revenue streams. Also, how many ideas do you attempt but they turn out to be turkeys – and when do you know when to can them? Yes, i think it would be nice to hear about the behind the scenes action of iwilltechyoutoberich even if we can’t apply it to ours lives it would still be nice to hear about some of your trials and tribulations. Keep the great work and advice coming. I really need to start making some more money, I’ve been saving $$ on all sorts of things,but would like to increase my income. I’d love to hear about all of them. they all sound too good. You got to make money to manage it well. Salary jobs can be nice and secure, but I’ll probably never have one again, so the more side project ideas the better. To me, it’s better to have 3-4 “side projects” than one real job. Yeah,I’d love to see your biz stuff to help us all out! Ramit…kudos for the idea. Do it! Yes! That would be interesting and informative! I’d be very interested in knowing when to hire someone vs. doing it yourself–how much personal expertise/knowledge vs. idea/management do you need to get something launched–provided, of course, that you have the capital to pay someone! Ramit, of course I would love to see more posts about the behind the scenes stuff of your success.I would also like more posts about how folks struggled in the beginning stages of business, like while having a job. absolutely. especially on marketing and the works, then strategy and implementation and lastly on vendors and others you work with to make this all a success. also, hearing about your business plan would be great too! Yes I would definitely like to hear more. I would like to learn more about bullet points 1, 4, and 5. Especially the market analysis and marketing plan topics. Thanks Ramit! These topics would be great! I would also like to see what did NOT work. For instance, has there been a strategy or approach that you tried that didn’t have as good of a response as you had anticipated? Or, have there been times you have outsourced and wish you had done it yourself (or vice versa)? Sometimes, it’s just as helpful to know what fails as much as what succeeds. Thanks for offering this up! Yes! I’m particularly interesting in charging vs. free offerings, market research, and DIY vs outsourcing. Yes! I would love to hear more about the business side of things! Most definately! Gaining some insight (based on the title of the site) is the main reason I come here! Yes, please – marketing and pricing, especially! Definitely, yes. Specifically, more entrepreneurship stuff (e.g. examples, and so on). Definitely! I’ve been an avid reader for a long time and I think the most interesting thing you could talk about is how you developed the site from scratch and started developing products. The development of ideas (site, book, Scrooge Strategy) and implementation of them would be a great insight! Favorite topics: DIY vs. contract workers, idea generation, implementation best practices, and marketing. Thanks Ramit! 3. The lifetime value of your customers, how you figure that out, and what kinds of returns you look for with people coming in. 5. Product Creation in your niche vs. affiliate marketing..? I think not only should you, you almost have to…only so many times you can write about automating finances, starting a 401(k), psychology, etc…this blog needs some fresh topics. I don’t mean to sound like a smartass, I’m a big fan, and was hoping you’d take things this direction. Yup – lay it on us. I want to hear it all. Yes. More on how you get started with your idea, how do you find the right people/ right resources? Post away, man!! Right on! Yes! I’d really like to learn how you create products/services for the Internet and how you automate these businesses so that you can focus on the next project. Thanks! Yeah, that’d be great. I’ve lost interest in IWTYTBR, and this is definitely something that would rejuvenate it. Do it! This is the one thing that the majority of bloggers do not talk about. Allow me to add my ‘yes’ to the chorus of yes already existing above. I’d like to put a little bit of a different spin on what people are asking to see. You seem like a very busy person who runs a lot of different projects. I’d love to know more details about how you organize your work: how do you get this stuff done, keep everything in order, how much you do yourself vs outsource, etc. Absolutely. Specifically, I’m interested in your marketing plan and what metrics you track to measure progress against the plan. Definitely appreciate your offer to have your followers benefit from your insights. Would love to see behind the curtain. I am primarily interested in vetting ideas for feasibility and identifying key areas to focus on (i.e. skills/interests with needs). Yeh it will be awesome, I myself planning to move to Canada from Pakistan (fingers are crossed though legs are shaking big time) and instead of running after jobs without having any Canadian work experience and education (the stupid catch 22) I would be more interested to start a small business on my own and for such task the sensible and wise guidence of Ramit will be a blessing. Bring on the good stuff please. Absolutely not. You don’t see Apple publishing their marketing playbook and pricing strategies because it would damage the Apple mystique. Similarly I have no interest in learning how you persuade your readers to buy your stuff — I’ll take a rhetoric class if I want to know that. Sorry, just the truth. Yes Ramit, I’d love to hear more about all of the above, but specifically how to get business ideas and execute them. Yes. I’d love to hear more about the more difficult, non-MBA book stuff. That is, things where there is no easy answer and where your personal insight may be enlightening. I have been a reader since 2005 and I rarely comment. I did not buy your book because all your personal finance info is on your site (in on form or another). What I study when I come to your site is your model. For me, it’s all about how you did something. Anyway you can share how you design products and how you decide to charge or make it free would improve my ambitions. I definitely want to learn more about your business side. Hope to see your sharing soon. Of the examples you mentioned, I’d really like to hear about how you decide when to charge, how you set pricing and do market analysis. When to hire vs when to do it yourself is also really important, especially for women. I find that male colleagues are much better at deciding that something is more trouble than it’s worth. I and my women colleagues tend to assume we should be doing it all ourselves. Of course that’s broad strokes and the info can be useful for anyone who’s hesitant to delegate. First, your stuff is important for anyone, as someone who woke up a couple of weeks ago and noticed I had slipped into middle age without a whimper, (46) we need to keep our thoughts and goals young. Showing people how, behind the scenes you go from idea to production would be helpfull. As to free vs. pricing – my thoughts are simple if you parcel out a bit of free stuff that is useful. that actually works, or helps people solve an immediate small need, you should have no problem charging for complete packages. Oh wait you already do that, 1st chapter of your NY Times Best Selling Book. Keep up the good work. How did your business plan change from Day 1 to today? Yes, please provide insight on your decision-making processes; matrices and/or decision-making trees would be helpful too. Would be nice to include emotional/mental factors along with the financial, thanks. Yes, am interested in making more money, AND in entrepreneurship tips! Thanks. Definitely! even though after 251 posts i’m sure mine doesn’t make a whole lot of difference!? That would be awesome! I watched some of your aweber.com videos on youtube. Yes, I would really like to know when it makes more sense to do the work yourself or to hire someone, sometimes it’s hard to know when to let go. Also would love to see your ideas on a marketing plan. Yes, I’d like to hear more specifically how you went from the idea phase to the implementation phase. And any suggestions you have for young entrepreneurs. Yes Please! I would like to know how to start a small home business – especially something easy like an ebay store or something that I can use to supplement my salary. What I am doing is a mix of free and paid stuff. Whatever I was offering free remains free. Only the new services – where I actually would be providing personalized guidance – are paid. Absolutely. I think this is brilliant. Absolutely. I think this is brilliant. In trying to develop my own business plan right now, this has been a point of conflict. What do you give away for free in order to build an audience. And when do you start charging. Thank you! I’d love to read more about your work and how do you come up from blogging to writing a book. Seriously anything about your work would be very interesting to read about ! With the tons of SCAMS floating the internet and the advice you gave on your book in terms of being wise with money, I am definitely interested in making extra cash on the side. Whoa that’s a lot of comments so far 🙂 Great work Ramit. As a starting entrepreneur, I would be very interested in getting your take on price setting and figuring out which products/services to make available for free. Nice reading your blog, loved the book too! Hi Ramit,– would be cool to read more about pricing information-products Vs. tangible items. To me it seems like a lot of guys offering info-products following a trend in setting a price. Like in internetmarketing, guys start to use the “47, 97, 1997$”, just to break the pattern, but I feel only a few think about the real value of their items. So, I am interested in measuring potential value of information and forward that in understandable terms to the customer. I am no IM, but a “Knowledge worker”-so to speak and I want to evalute projects on information-potential to set a price. Would be great to hear your thoughts on different types of marketing plans, how you came up with yours, or how you develop one for each new product. Also, general tips on crafting a marketing strategy for different revenue streams/projects (yes, both online and offline, as you said). Yes! Your site is fantastic and I would love to hear more about the business side of things. Entrepreneur boot camp. When to charge and what to charge. Thanks. Yes, would definitely be interested in reading more about this. Yes, I would like to know and understand what’s happening. I will be very interested to know the other side of the Blog. It is always interesting to read about success. Thank you and God bless. Finally someone who knows what he’s doing is willing to share the details of his actions when earning money. Please write everything, step by step. Thank you. yea i would love to read them, thanks a bunch! would like to get ideas to start my own blog. I’d love to see some behind the scenes posts. Yes. I would be interested in how you come up with product ideas and the market analysis that goes with it. BTW, I’ve been following your blog content for the past few years and appreciate your knowledge-sharing. Keep up the good work. I think the earlier calls for you to be more transparent with your own life are a bit … forward and unnecessary. Hello, New York Times bestseller? I think that demonstrates that you’re not living freelance gig to other freelance gig. I would, however, like deets on making a marketing plan. I for one do not suffer for lack of ideas (fortunately or unfortunately). Definitely Yes! I’d really like to hear about how to build business from scratch to top: choosing the right idea to develop, funding, how to find investor, pricing, legal aspect, even into some specific knowledge like “how to sell product online”, etc. Absolutely! Your work is top drawer. Yes. Specifically the topics you mentioned will be good for starters! Thanks! That sounds great! Personally, I would love to hear more on pricing your products and coming up with product ideas. Yes, I want to know how to work your plan to the fullest. I’d love to hear how you set pricing, and do promotion online. I am an entrepreneur, not specifically a blogger, but your marketing obviously works! Yes. I will be looking forward to it. 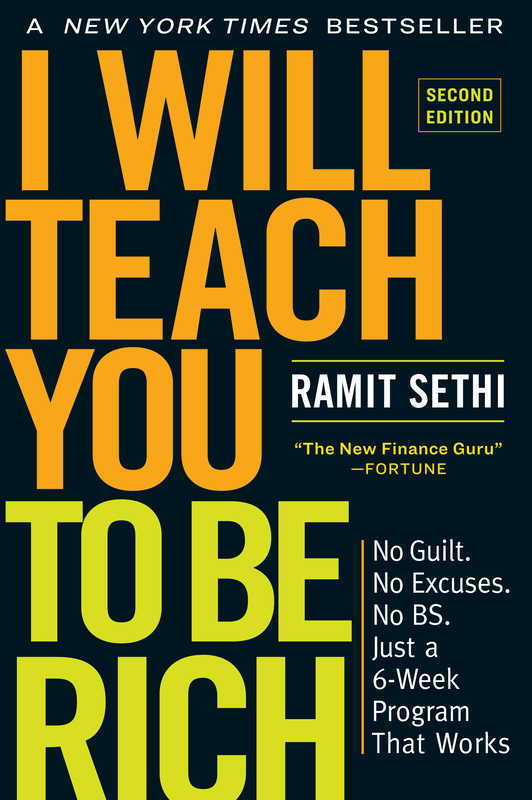 Ramit – it would be great to see the business behind I will teach you to be rich. I am in the midst of writing a business plan and starting a business right now, so I am interested in learning more about your strategies and plans in regards to marketing and market analysis, pricing, etc. I would love to hear and learn more about product development, marketing plans and how to launch into your own company. Yes, Sure! Would like to be part of it. I AM very interested. Would love to learn about the behind the scenes. YES. Always interested in hearing how entrepreneurs come up with their ideas. How do you know which ideas are worth pursuing? Once you decide an idea is worth pursuing, how do you set goals for implementing that idea? What makes an idea a Success/Failure in your eyes? I’d love to see what you’re doing behind the scenes! Yes! I’m starting up a new web design business and would love some of entrepreneurial insight. As always, some really forward thinking…I await to here more of your guidance and knowledge. Yes, I would really like to see this!! Yes, please count me in. I am planning to start a web site design business within the next few months. Definitely! I recently launched a blog about saving money, but I need more tips on how to make money! It will be a excellent one, if you can share with us how you do it. I’m interested too! I appreciate your offer to let us have a peek at the business side of things. Ramit – I would like to see a timeline that details the process from idea creation through making money broken up into 1-3 hour per day segments. This way, those of us in the “Rat Race” who use the excuse: “I don’t have time in my 40+ hour/week job to start a business” won’t have that excuse anymore, because anyone can free up at least 1 hour per day to start his own business to create financial freedom. Yes. Any content oriented towards entrepreneurship and the “make more money” side of the equation is very welcome. You already wrote the book (literally) on personal finance, so more content on the processes of creating those finances is a logical next step. Yes! I’m an entrepreneur myself and love to read about how others are doing what they do to generate an income. Looking forward to the future posts. I’m with Tom – I work a rather busy 40+ hr week in my corporate job but would love to hear ideas about how to make additional money and set up an entrepreneurial small business on the side with 1-3 hours per day. Hi, Ramit! I enjoyed your book and advice on the website and blog. I’m not really interested in the business side of things, but if you do have a product you think would be beneficial please pass it along. All the best! Your advice on money is very simple. And I am a fan of yours. I am definitely interested to see the things that are happening behind the scene. I am also willing to help, if there is anything that I can do with in my reach. I love reading your articles. I want to learn more about business especially franchises. What are your thoughts on Investment Clubs? Yes! Even if the information doesn’t pertain to us, I’m sure we know someone that would be interested. I forward some of your blog posts to all of my friends. Thanks man, I’d surely appreciate it! YES!! I’ll be very much interested, your advices are great and simple. I’m interested specifically in Market Analysis and When to Hire, but all the topics look great. How to use what you do online anyway to generate revenue would be good, how you go about that. Thanks! Marketing analysis & when to do it yourself, please!!! yes, especially considering i am devoting 100% of my time now to my own business. Yes, I would like to know more. I’m working on building up a variety of skills and a name for myself. Rather than build a blog around a certain topic, I want to have a variety of desirable, marketable skills that people will seek me out for. I think seeing the back end of how you setup the business around your blog would be extremely useful in helping me move forward in my en devours. Please discuss how you came up with ideas. Looking for some insight into how to start creating a business. Licensing, website, marketing etc. i.e. if i wanted to start a shell company to promote future business ideas. see your thoughts/ideas as a way to transition out and/or add streams of income. interested in thoughts/ideas in that vein. This sounds interesting. Specifically, how you come to build up a following and such things on your blog. It could definitely add another dimension to the blog for me: I don’t read it all that much because i don’t want to be thinking about my finances all the time! Seems there are enough affirmative comments already, but I’ll add mine as well. Ramit, any idea when you would be able to share your thoughts ? Yes, market analysis, planning, hiring people. Yes please.. but on a different blog may be? Some more thing [may be off topic] – more focus on psychology also helps! Hahaha, you’ve definitely got a lot of interest here, Ramit! What I’d be interested in is what you did for promotion in the early days of IWTYTBR. I wasn’t around for that (I started reading in late 2006), so I’m curious about how you pulled your audience in during the early days. Yes, I’d love to see some behind the scenes info. In particular, I’d be interested in market analysis and price setting. That’d be great. Thanks! Deciding on pricing and when to charge I think would be most helpful, because that is where I feel the most uncomfortable/uncertain, but where its where the rubber hits the road on whether you have a product that people think provides significant value. What would be interesting is the best/cheapest way to incorporate? With regard to incorporation, what is best done quasi-DIY (legalzoom etc etc) and what is best done by professionals? Yes, it would be wonderful to get a sense of how you market your business, set and meet goals, develop business plans, etc. I’m just launching my own business, more traditional than yours, but this is only the beginning. I’m interested in all things entrepreneurial. And, a big fan. Yes, I would like to know how you decide on a particular product or service, knowing what has a better chance of succeeding. Sorry, only really interested in personal finance and economics. Would love to have your ideas on building an idea into a business…Please post more info. Sounds fantastic – the goal this year is an on-line, part-time business with proprietary products (information). You are the guru, I am the student. I’m already very interested to see what you’ll be offering, but learning how you made the strategic decisions involved is icing on the cake. Yes to all the above. Specifically it would be interesting to see “under the kimono” to the degree you are open to it. how much revenue did xyz create, as you change, relaunch and add, how does that effect the revenue stream…. I recently purchased your book. I would love to hear about entrepreneurial topics specifically marketing online. Yes! I would definitely be interested on the marketing and pricing aspect. I am more interested in your product ideas including those which didn’t make it. How did you thought of these ideas and the first few steps to implementation. Any difficulties faced? I am very interested. Almost every adult has some experience working as an employee. Can you please teach /provide information to turn the skills used in the job to an entrepreneurial venture. This will help in letting go the fear of losing a job. Yeah, I can always learn about business development and entrepreneurship as it is a deep interest of mine. I’d love to hear about the behind-the-scenes work of running your business. As a fellow entrepreneur any information I can gain for others I’m game. As the founder of 5 different startups in the tech/finance/web space then you can count me in for a yes vote! I love your blog and would look forward to some behind the scenes detail. Thanks! Yes x 5 for each of the questions. Once I emailed you asking what goes behind making you(r) work tick. And you answered that you didnt know. Now this is a step in that direction. Meenu here, i am very interested in your strategies of coming up with bew business ideas. I also want to be independent enterprenuer but somehow doesnt have any solid idea. So please mail back if possible. Business should be part of personal finance. Why? Because when youre talking about how much money to save, its not better to increase your income in a place, where (sometimes) you dont even have to be there? Dont you think its better to be YOUR boss, to do things YOU want instead of working for someone else day to day and make him or them wealthy?Neverthless they even tell YOU how much money you can MAKE!! Im a big fan of business.. Yes – I would be very interested in learning more about what you have to say on the subject. Yes. I’d like to hear about how you come up with product ideas and doing market analysis. Thanks! Yes, please do it. I love your philosophy on working hard now to do less work later. This would be very interesting and very applicable. most definately, i wanna know. Yes to all of the points you mentioned! Definitely. I’d be interested to learn what you did for marketing at the beginning along with how you went about finding reasonably priced, but quality designers, etc. I’d definitely like to see more of this. With my own website and getting ready to launch another one, I’d like to learn how to make a full income from it by increasing traffic and conversions. How do I go from 1000 visitors a day to 10,000 etc etc. How you craft the marketing strategy would be extremely useful. I personally implement tactics..but i have a feel they are that not strategies, more holistic. I’d like to see your take on this. By the way the ebay post was wicked.. free shipping does wonders.. definitely works if you can get some level of mark up though.. Yes, I would like to know how to go into business for myself in a successful way, with skills and knowledge I already possess. wow what a huge response, and in only 3 days! wow. i look forward to getting the inside information, you seem to have a lot of knowledge to offer. Just started reading your book, though it’s been awhile since I’ve recieved an email from you on helpful tips. Yeah, I’m interested in what you’re up to. I’m assuming you’ll be covering subjects on management. Hope you cover the psychology of finance. It’s helpful to understand and examine the roots in what you preach. Take care and I wish you the best..
One of the many things I enjoy about your blog and book is how you take each topic and thoroughly explain it from the ground up. I would be interested to a similar breakdown of how your ideas become a reality. Yes!!!! Please! I am so stuck in this area you describe and would appreciate any guidance. Expedite the earn money bootcamp! Yes. How to set pricing is a winner for me. I’m interested in receiving some behind the scene tips. I read your book and got some great tips and insight. Yes I would definitely be interested in the financial side of things. Let me just say your book has helped me immensely in understanding my finances, especially towards the aspect of getting started on saving and investing for later retirement. Who would of thought you had to be rich to invest? I for one thank you. They should make your book required reading in high school and in college. I know if I had this book ten years ago I would have been way ahead in the saving/investing game. Time matters people! Don’t put off what you can do today. The old saying is true, Time really is money. Great work on the blog by the way. Keep on doing what your doing. DEFINITELY! Who wouldn’t want information? ! !